ahmedabad, Kochi, Pune, Hyderabad, Mumbai, Vadodara, Navi Mumbai, Gurgaon, Jaipur, Indore, Visakhapatnam and Surat. Central shopping mall, Bangalore spread over 120,000 sq ft, which is situated on Residency road, M G Road. There are 2 more central mall outlets in Bangalore, one is located at Bellandur Junction and another mall is at 9th Block, Jayanagar. Central mall, Bangalore mainly serves the Indian customers and provides a pure shopping experience and also make sure the top brands in the Indian market are made available to them. Central mall, Bangalore offers a dream shopping experience to the urban customers. Central mall is located in the middle of the city, hence the customers should not have to travel a long distance to reach there. Central mall provides more than 300 brands across categories, like apparel, accessories for women, men, infants and children, footwear, apart from that there is a full range of Books, Music, Coffee Shops, Super Markets, Food Courts, Fine Dining Restaurants, Discotheques and Pubs. For travel, investment, finance, concert or cinema ticket booking, insurance, bill payments and other services, the central mall has a separate area. If someone is looking for the product launches, exciting shows, exhibitions and daring programs, it has a dedicated space for that as well. It is the important part of the Bangalore and hopefully in the future the city should be a part of the central mall. Central group has shopping malls all over the country. Pantaloon Retail, the tycoon business group owns the Indian Big Bazaar supermarket chain is the owner of this mall as well. 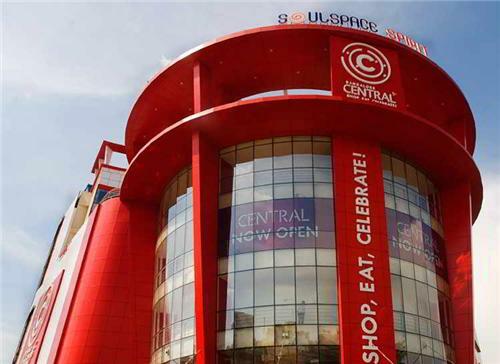 Central brand has malls in Bangalore, Ahmedabad, Cochin, Pune, Hyderabad, Mumbai, Vadodara, Navi Mumbai, Gurgaon, Jaipur, Indore, Visakhapatnam and Surat. Central shopping mall, Bangalore spread over 120,000 sq ft, which is situated on Residency road, M G Road. There are 2 more central mall outlets in Bangalore, one is located at Bellandur Junction and another mall is at 9th Block, Jayanagar. Central mall is an awesome place for the best shopping. One can find apparels, footwear for ladies plus all kinds of cosmetic items and electronics in the first floor. Second floor is for men’s apparels with lots of branded shirts and footwear. Third floor is for youth, they can get all the branded sports items, and funky stuff and the fourth floor are for the kiddies and for food. The central mall houses best national and international brands. Giordano, eZone and the body shop are the main outlets in Central mall. This mall also features a multiplex which is managed by INOX. All types of cuisines are available in the food courts. ATM, car parking, elevator facilities, filtered drinking water, first aid assistance, information desk, lost & found desk, separate washroom for gents and ladies, bag park, communication center, escalator, fire evacuation drill, are the main facilities provided by the Central mall Bangalore. In spite of this mall, there are other central malls in Bangalore, one is located in the 9th block Jayanagar. Another one named as Soul Space Spirit was established at Bellandur junction which was opened on March 24th, 2011. The location of the mall is just 0.4 km from marathalli market, 9 km from M.G road. This area is an high-income residential neighborhood and IT parks with up coming projects from prestigious developers like puravankara, mantra, shobha, divyasree, adrash and golden gate.